Mother Betty Jane Hussey was born August 3, 1936 in Muskegon, Michigan to George Watt and Laura Irene Adams. Betty attended Muskegon Heights High School and later earned a Nurses Assistant License from Butterworth Hospital. She was employed for many years at HackleyHospital until her health failed. Mother Betty united with Robert Hussey and to their union six children, Verenda, Dennis, Van, Bernard, Jeanette and Barbara were born. Mother Betty loved the Lord and enjoyed attending church services throughout the community. She enjoyed the ministries of Pastor Jeffrey Hough, Pastor Michael Burrell and Pastor Rucks, to name a few. Two churches especially dear to her heart were Tabernacle Church of God and Solid Rock Church; She considered both church families her church home. 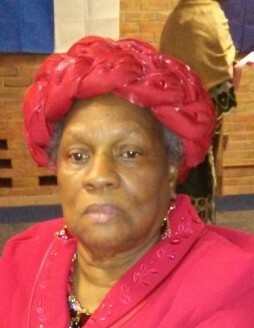 She was affectionately known as “Mother Hussey” within the various congregations, but served as an official Church Mother at Tabernacle Church of God and Solid Rock Church. In addition to being known as a Church Mother, she was also known as “The Cake Lady” for the delicious cakes she baked, especially her pound cake. She also loved to “dress” and was also known as “The Hat Lady” because of the many beautiful hats which she wore. To cherish her memory Betty leaves: six children, Verenda Williams, Dennis (Donna) Hussey, Van (Melissa) Hussey, Bernard Hussey and Jeanette Evans, all of Muskegon, MI and Barbara Woodfork of Holland, MI; grandchildren, Brenton, Eric, Kevin, Brandon, Henry, Sonia, Cassandra,Donte’, Shawndreka, Kendra, Tiffany, Stephanie, Kody, Kristi and Kenny; 15 great grandchildren, 4 great greatgrandchildren, 2 sisters, Pauline Mitchell of Milwaukee, WI and Sarah (James) Stevens of Oxford, MS; 2 brothers, Ronald Watts of Milwaukee, WI and Kevin Simmons of New York, NY; a special Godson, Narrie; best friends, Mother Vanilla Eckwood and Mother Marion Oakes. She was preceded in death by her parents, brothers, Herbert, Glenn, Willie and James Simmons, and best friend Mary Augustus.